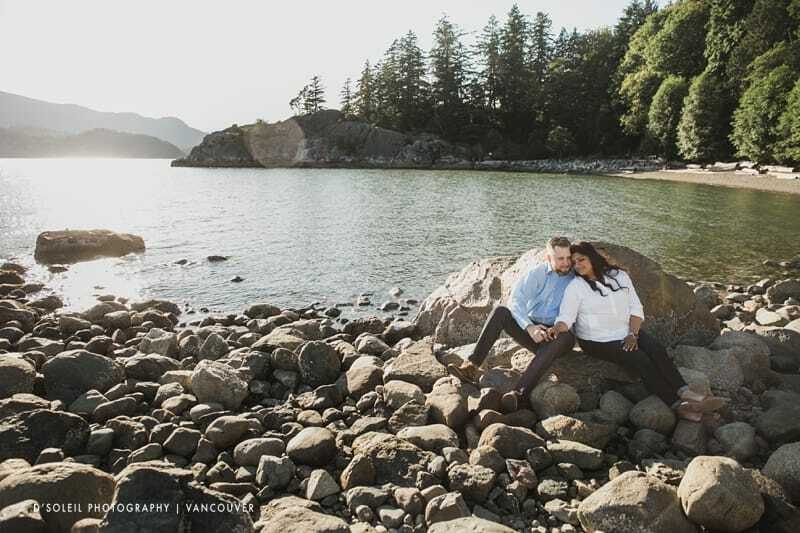 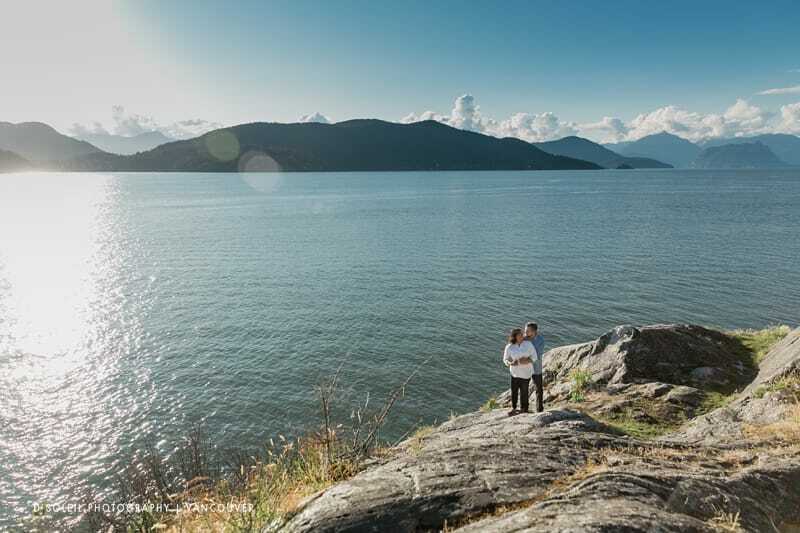 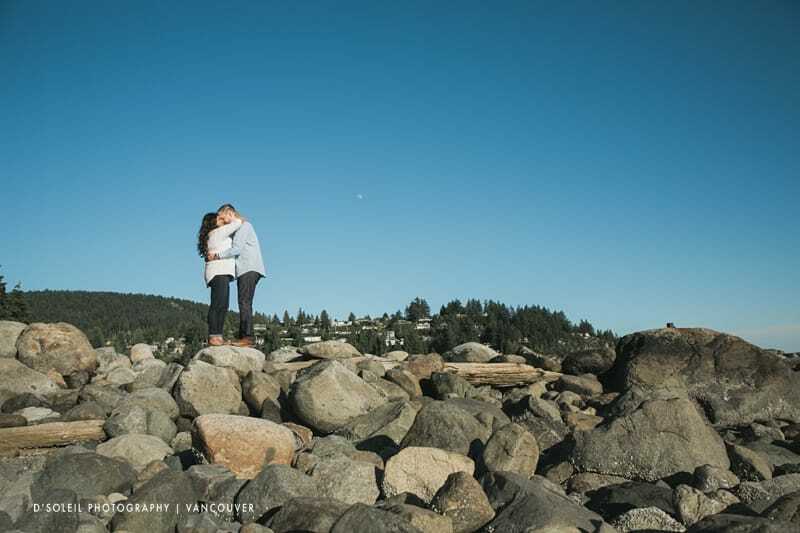 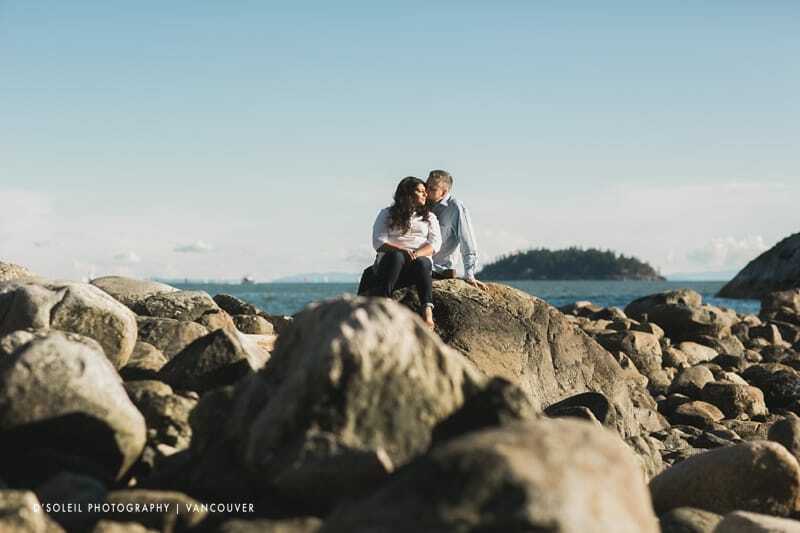 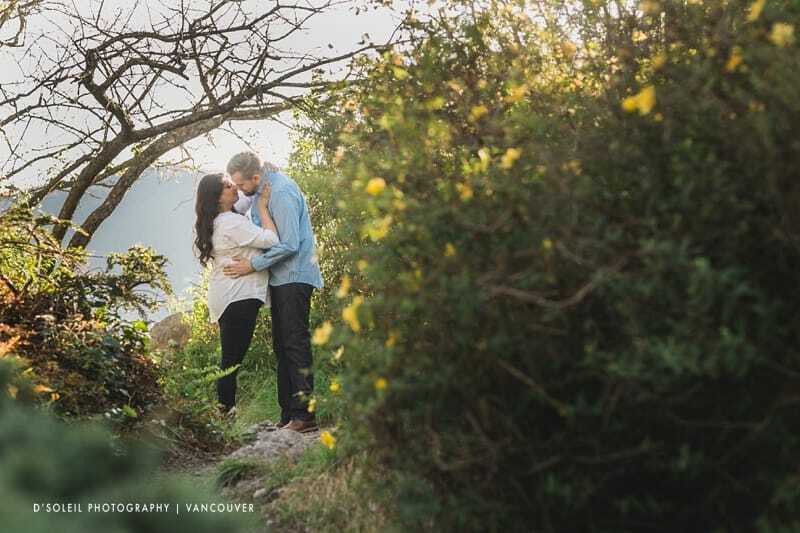 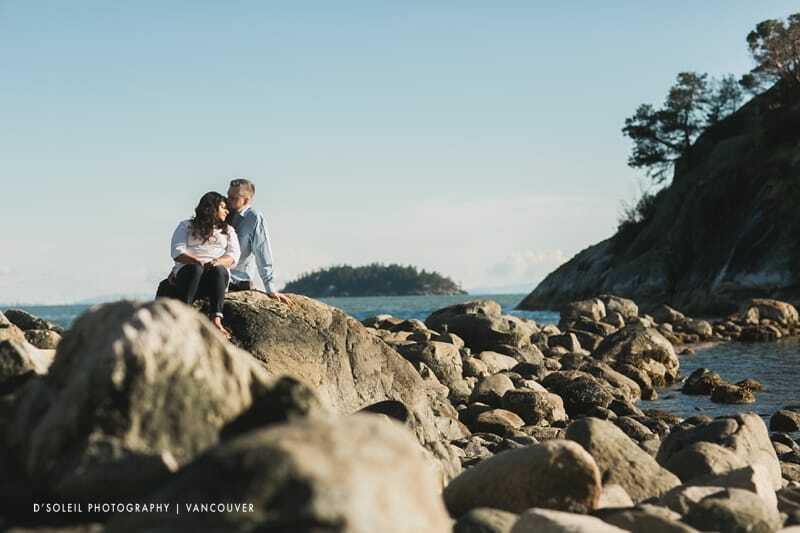 Remembering summer and this beautifully warm evening at a West Vancouver Whytecliff Park wedding engagement session with Christina and Ian. 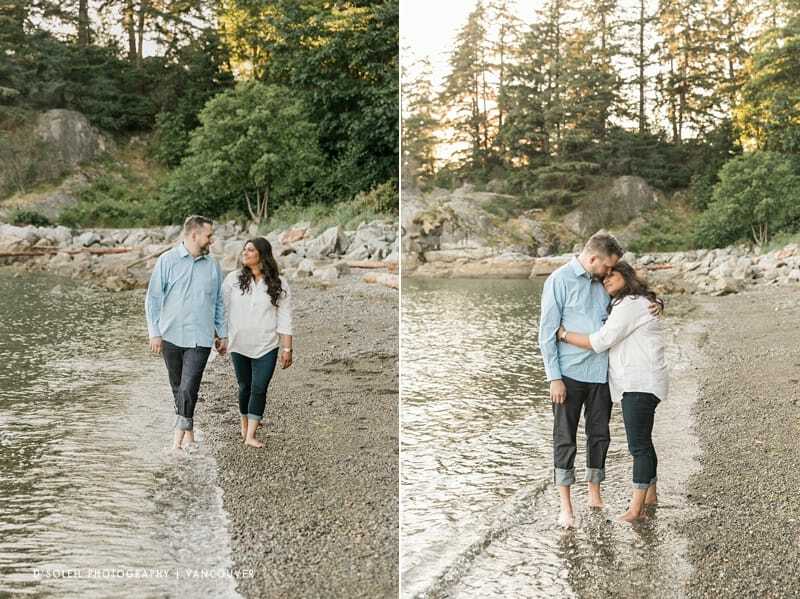 Visiting at low tide, they walked the bridge to part way to the Island and enjoyed some time together watching the warm summer light fade into the distant horizon. 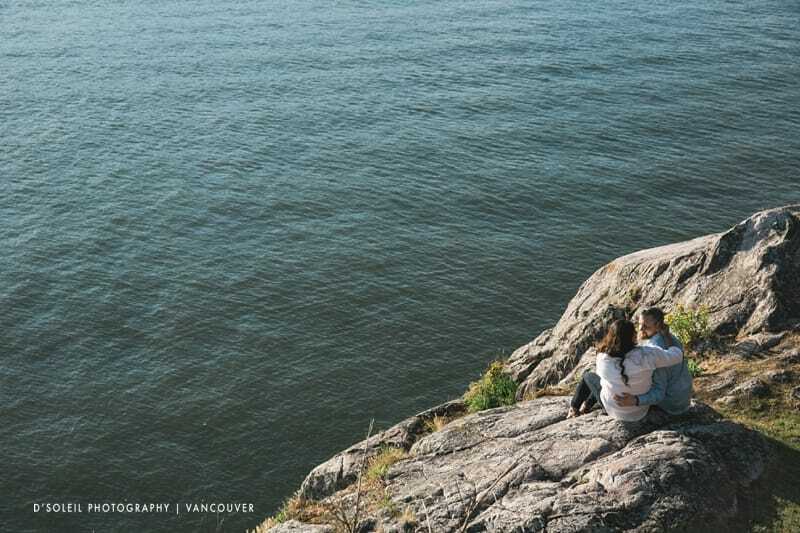 Whytecliff Park, like a few other parks in West Vancouver is one of the best places in Metro Vancouver to watch spend an evening surrounded by water along the West Coast. 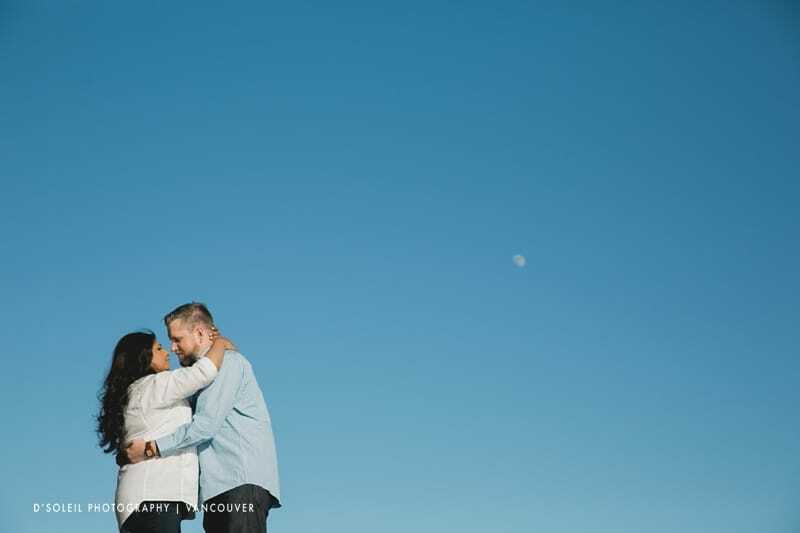 Love this simple photo of C+I against the evening sky. 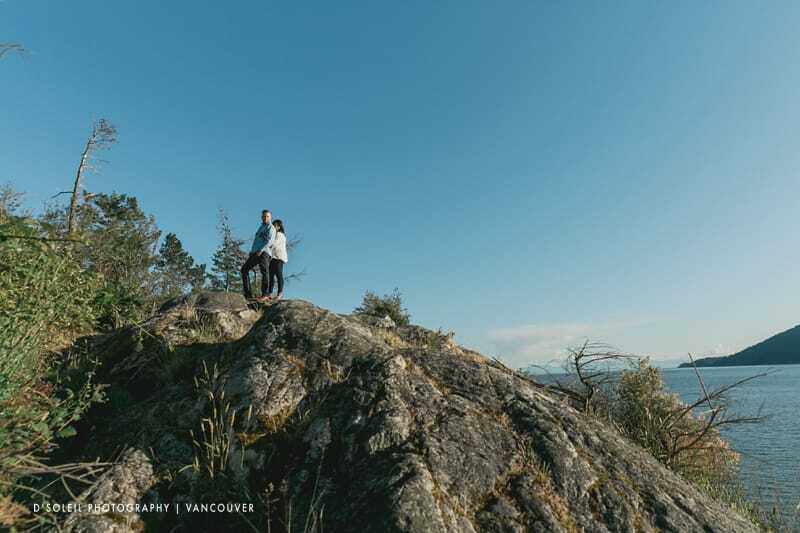 Moon in the distance over Whytecliff Park in West Vancouver. 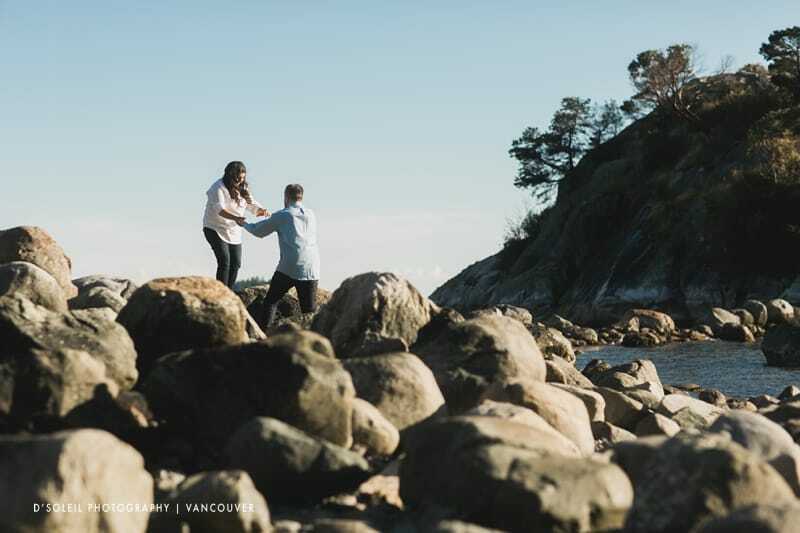 They had a little fun with this set of photos at Whytecliff Park in West Vancouver. 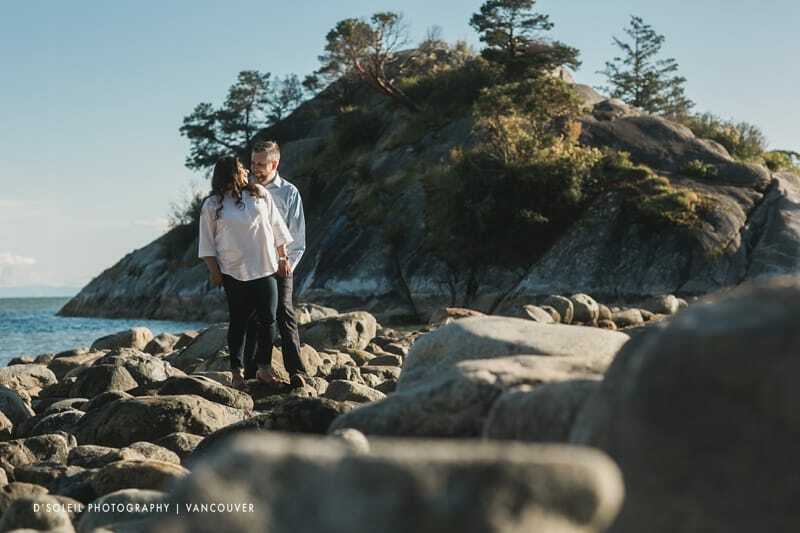 Near the end of the engagement session, they went for a little walk along the shore, ending another beautiful summer evening in West Vancouver.